"It's remarkable. 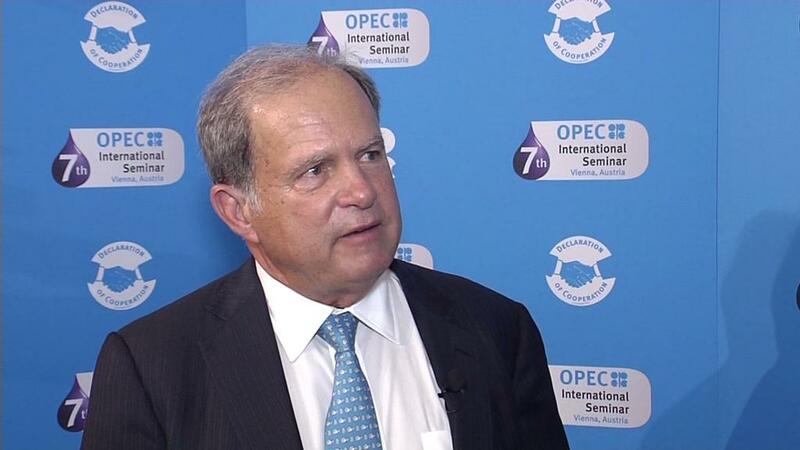 The Permian is nothing less than a blessing for the global economy," said Bob McNally, president of Rapidan Energy Group, a consulting firm. The rise of Texas, which is also home to the Eagle Ford oilfield in the state's south, shows how the shale oil revolution has reshaped the global energy landscape. The United States is pumping more oil than ever before, making it less reliant on the turbulent Middle East for imports. "It's not going to make the world peaceful, but it will make it less volatile," said McNally, a former White House official. 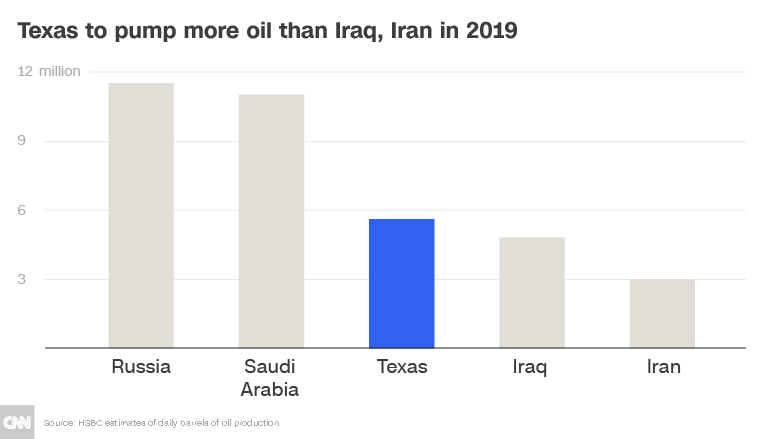 Scott Sheffield, the chairman of major Permian player Pioneer Natural Resources (PXD), told CNNMoney last month that the United States will become the world's biggest oil producer by the fall. The Permian Basin is quickly running out of pipelines to transport oil out of Texas, forcing companies to explore costly and potentially dangerous alternatives like rail and trucks. More pipelines are getting built, but they won't be ready in time to fix the bottlenecks that have formed. HSBC called the Permian a "victim of its own success" and predicted that logistical constraints will cause production growth will slow in the future. "We're not in a hurry to grow it fast against a system that's completely constrained today," ConocoPhillips (COP) CEO Ryan Lance reportedly said in May. "The labor shortage is getting critical," one exec told the Dallas Fed.